What is solitude? Is it vanishing from daily life? Sometimes. Can solitude happen in the midst of daily life with all its distractions? Sometimes. Can solitude be shared with others? Sometimes. The longer I live, the more I yearn for this thing called solitude. Solitude is about being with myself – alone. Solitude gives me a sense of quietness and peace, a feeling of stillness and joy in my heart. It is from this place of listening in silence that I start to recognise the voice of God. The more I listen, the more I trust that voice. I begin to know myself in the process. I am inspired to action. I experience solitude when I am all alone in my home. 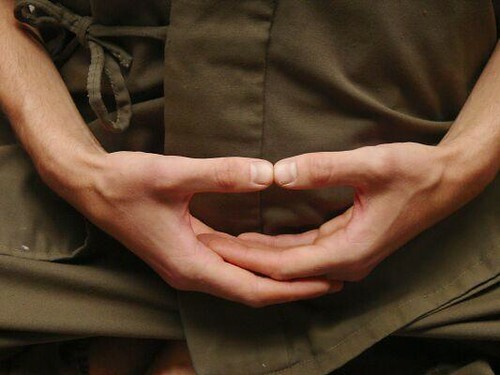 No radio, television, music or computer – simply the silence of being. It is delicious. The mystics of each spiritual tradition have written about this way of tapping into God’s silence. I think that listening begins here, in the stillness of my heart. Sometimes solitude comes to me when I am driving. There is that moment of being fully present to life – seeing the wonder of humanity or nature or God’s presence in the world and in my life. Many times, solitude is in the shared silence with a close friend, spouse or family member. Just being with each other, not needing to speak. ‘Why do you suppose these moments of solitude offer us such relief? Because they give us a chance to simply be ourselves, to enjoy what and who we are, to savour just being. Alone with God, we feel no need to perform, to do,’ writes Frank Bianco in his book Voices of Silence. How can you find the time to take on another practice in your already fully scheduled day? One women discovered that if she spent just one minute in silence before getting out of the car before and after work, it made a difference to her day. This practice of solitude, of being still, silent and present, expands awareness and leads to a deeper awareness to a deeper relationship with the Divine as well as a deeper capacity to be with others. Take advantage of the gift of quiet time. Enjoy! – from The Sacred Art of Listening by Kay Lindahl, p. 108-108. Greetings to all the religious and all the Passionist Family! Then while the Rector of the Community of Sts. John and Paul read the Passion according to St. John, he calmly expired. It was 4:45 in the afternoon, shortly following the praying of Vespers on 18 October 1775, feast of St. Luke the Evangelist. Clemente Rebora, a Italian priest-poet, a Rosminian, who died in 1957, in a poem dedicated to his own father, wrote: “Father, even if you were not my father, I would love you all the same…” are words that often come to mind when I think of St. Paul of the Cross and reflect on his life. 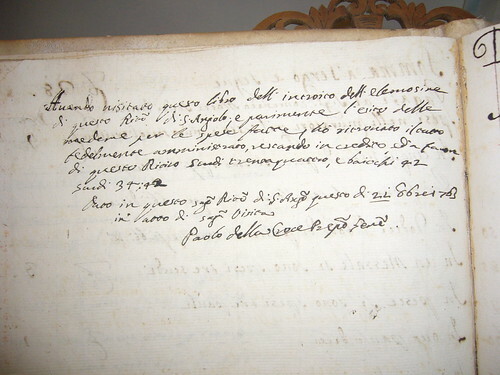 And in the spirit of the last Will and Testament of St. Paul of the Cross, I send to you and to all the religious of the Congregation, in particular, the sick who live the Passion of Jesus in their own flesh, and to the young that their perseverance be strengthened, fraternal greetings and best wishes for this feast day. I also remember the Passionist bishops, the cloistered Nuns, the women religious and the laity of the Passionist Family. To all the religious, to the women religious and the laity: Happy Feast of St. Paul of the Cross, our common Father. May he bless us and be with us so that the process of Restructuring may be according to the sentiments of his heart and in complete harmony with the charism of the Passion of Jesus that he shared with us. To all, best wishes also on behalf of the General Council. May St. Paul of the Cross protect you! World Youth Day Pilgrim ordained …. Congratulations to Fr. 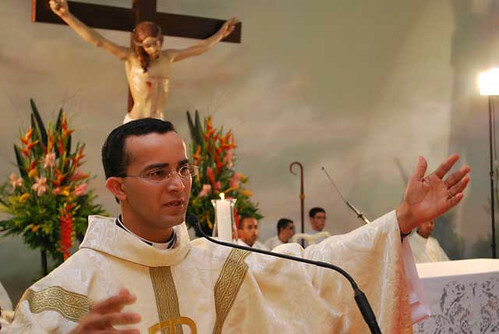 Vanderlan Gomes da Paz, C.P., who was ordained a priest yesterday – 19th October 2008 – in Belo Horizonte (Brasil). 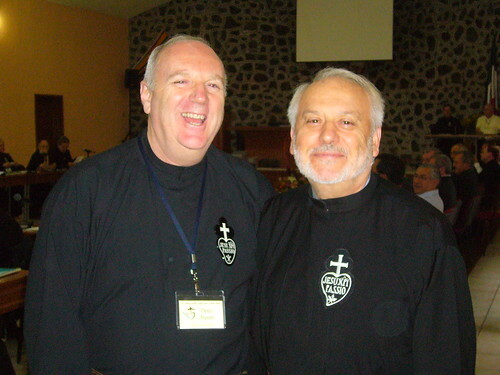 Vanderlan was in Australia for the meeting of Young Passionists in Melbourne and then came to Sydney as a pilgrim for 2008 World Youth Day.